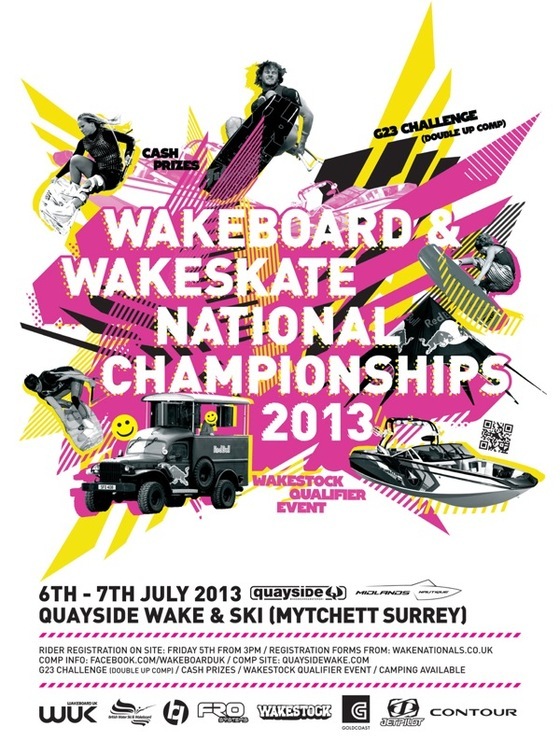 The 2013 National Boat Championships are to be held at Quayside Wake and Ski on 6th & 7th July. Watch the UK's top boat riders battle it out on the water to become a 2013 National Champion in 15 divisions. The 2013 British Boat Nationals is open to all riders (including international riders) of any age and level however non-UK riders cannot take a title or receive UK or E&A ranking points. *Amateur Men division will receive ranking for UK Wake Series only. GB Squad or Team riders (no matter what age) will not be allowed to enter the Amateur men division. Practise will be available prior to the event, camping available during event, please contact Quayside for more info. Please note, the G23 Double Up Challenge is reserved for Open Men riders only including 4 wild cards. To compete, all UK riders must be members of BWSW and in possession of a valid 2013 competition licence (which are free for 2013). All the forms required to enter the 2013 Boat Nationals are available below and also from www.wakenationals.co.uk. Entry closes one week prior to the event so if you have not entered and paid by 6pm on Friday 28th June 2013 you wont be able to compete.